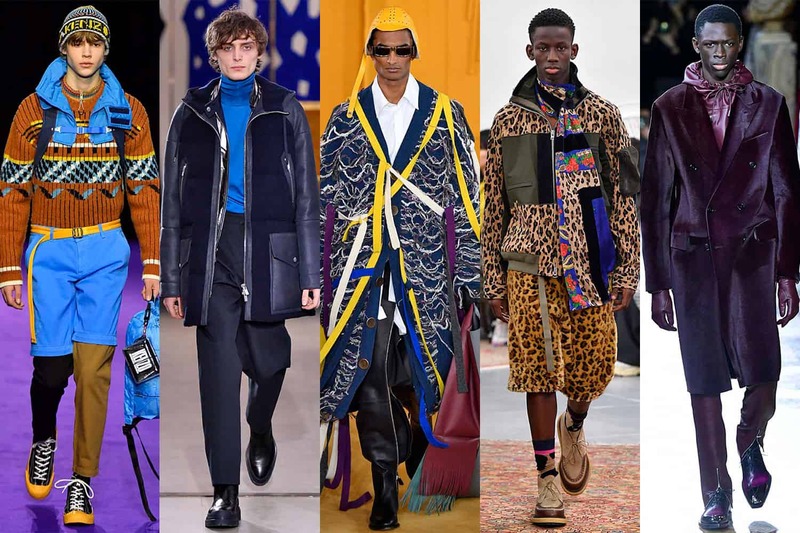 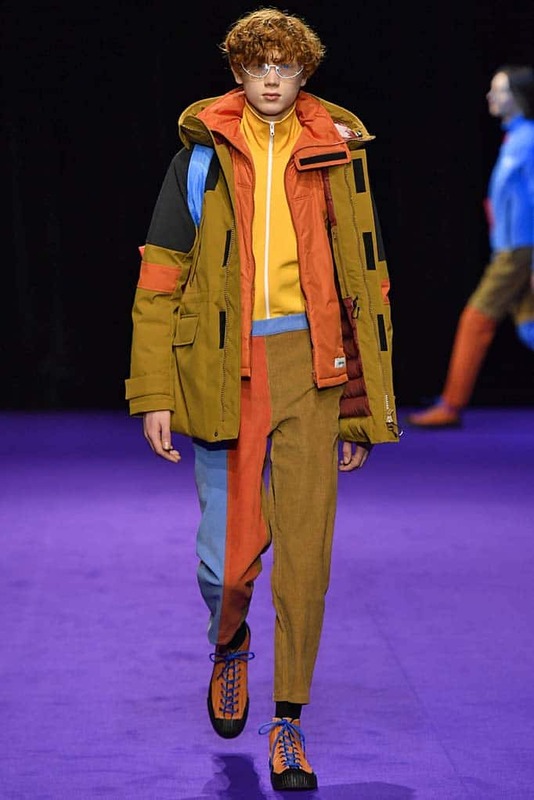 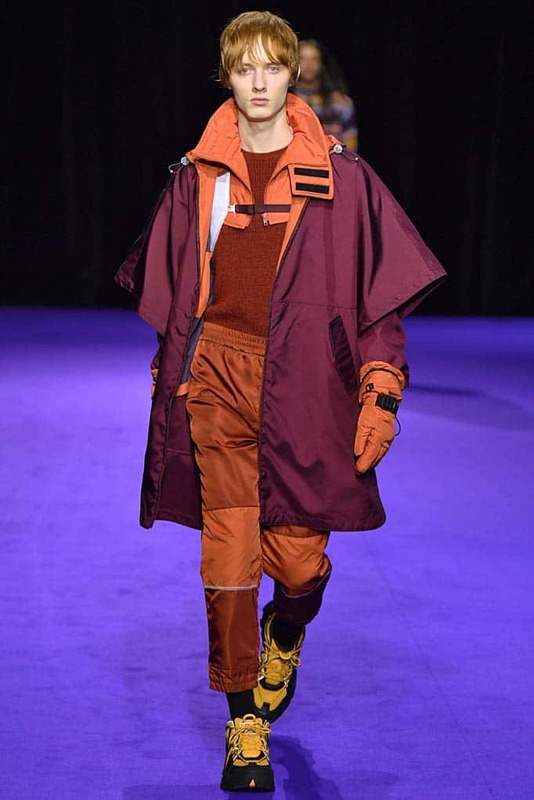 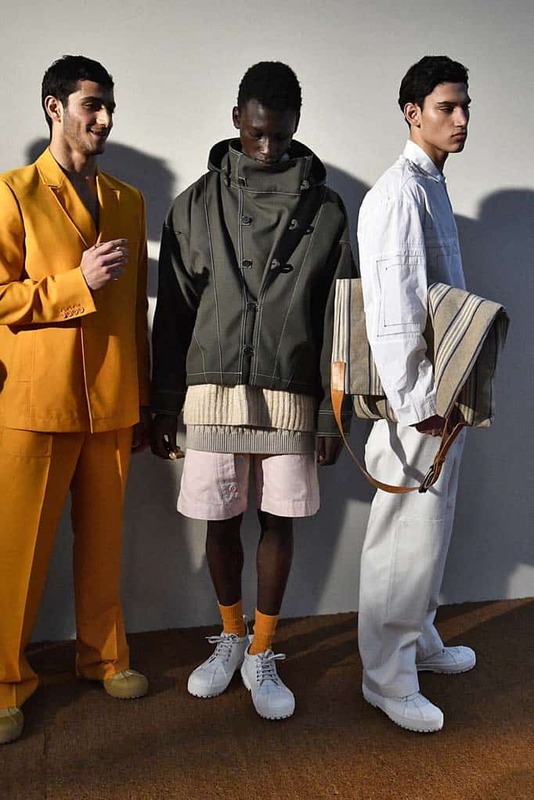 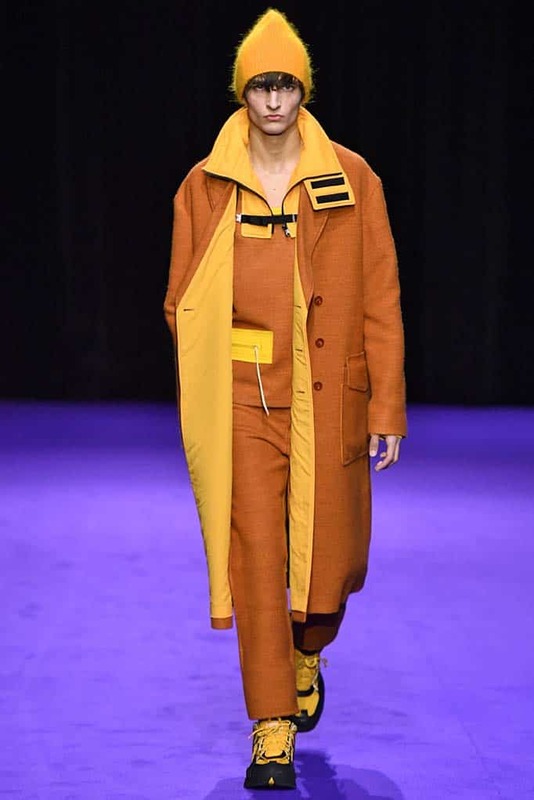 The Daily Front Row‘s Paris correspondent, Sofia Achaval de Montaigu, attends the shows at Paris Men’s Fashion Week and lets us know what is going down on the biggest runway in the City of Lights. 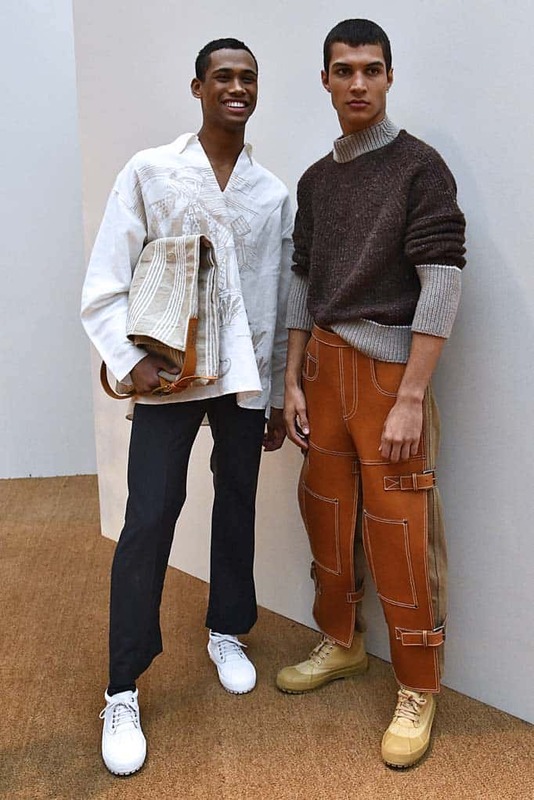 Jacquemus’ invited guests to have breakfast and see the new collection, “le meunier,” at the Palais de Tokyo with a piece of bread wrapped in a piece of cloth. 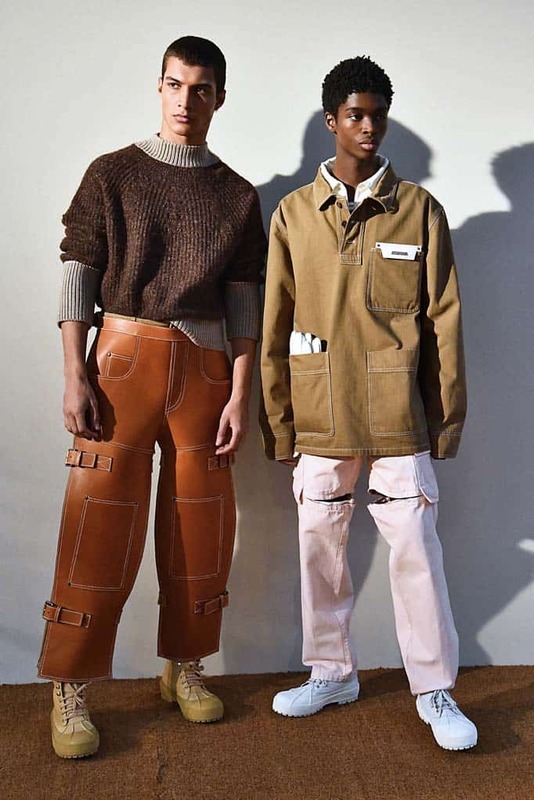 Models wearing leather accessories arrived in a truck which opened the door for an unconventional show where they walked between the public, sat down, and posed for the cameras in a table full of bread and cheese. 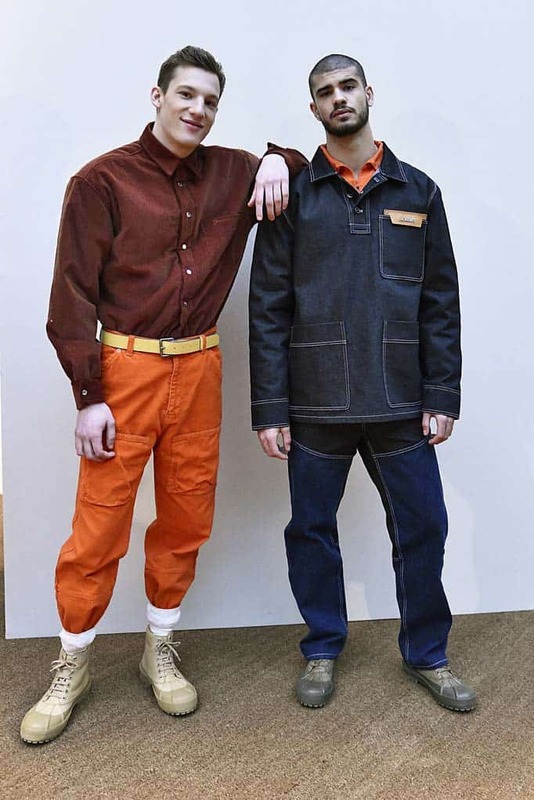 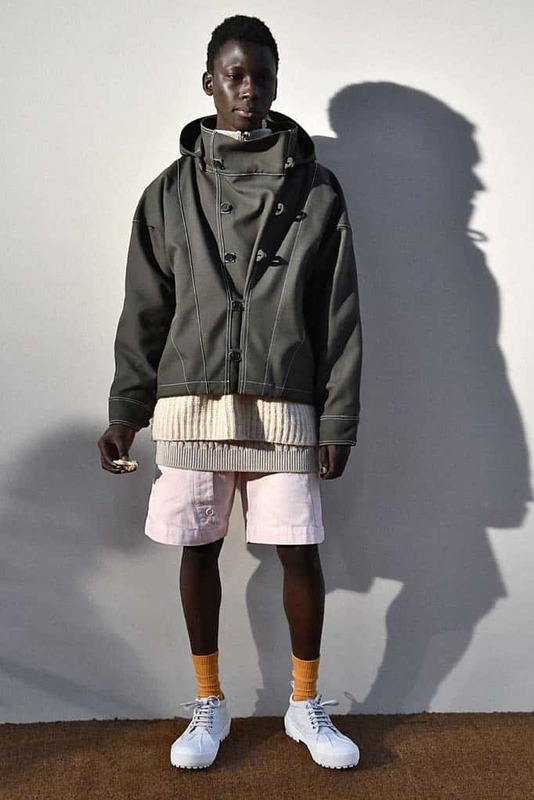 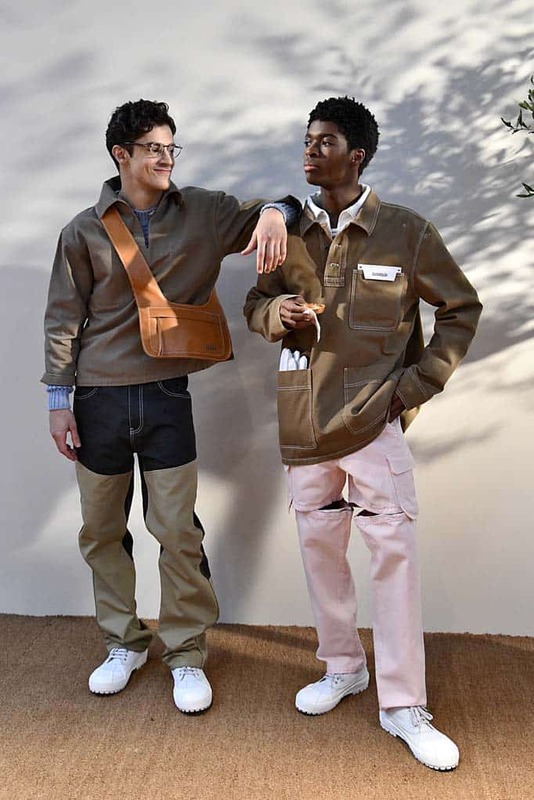 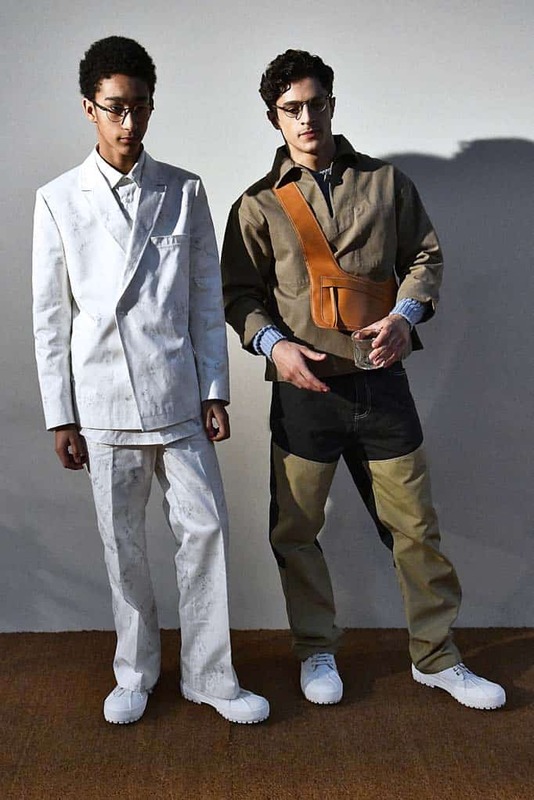 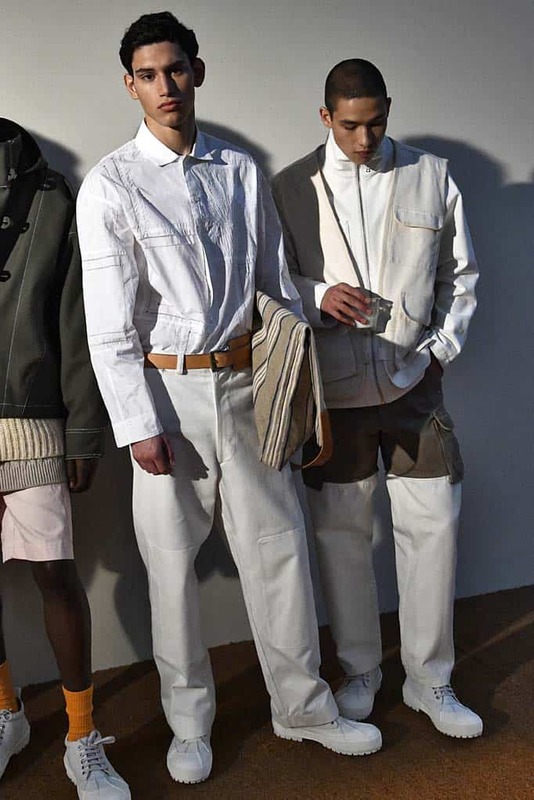 It was a field-work inspired collection, which offered items that went from working gloves and boots to shirts with big pockets and wide cotton and denim pants. 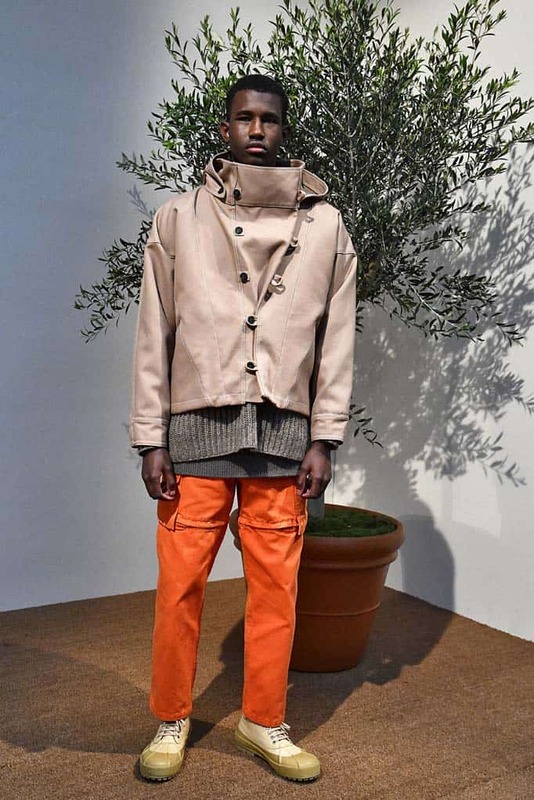 Earthy hues were a big part of the collection that also included colors like white, green, blue, and some touches of orange. 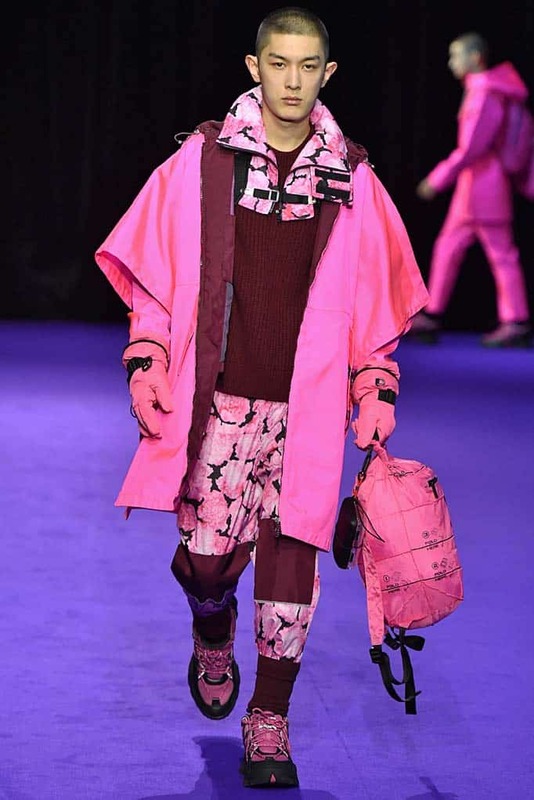 Kenzo presented its menswear collection at the Musée du Louvre in an event brimming with art. 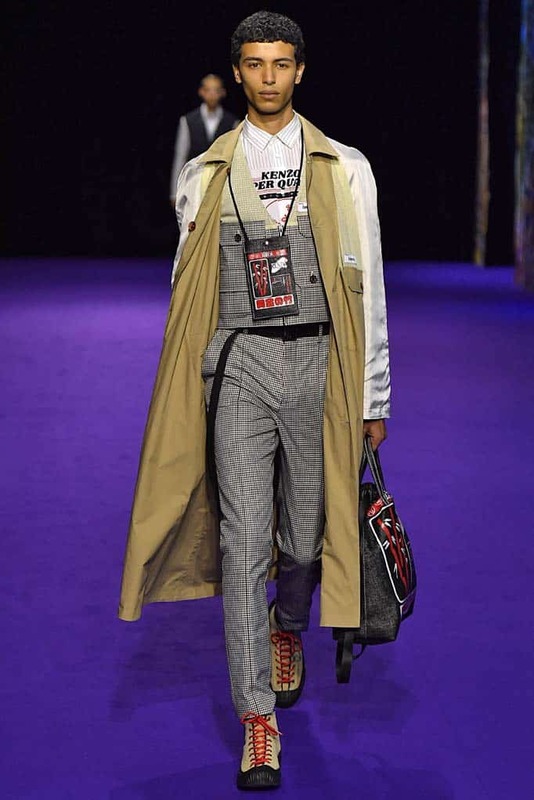 Peruvian psychedelic paintings covered the panel in which celebrities like J Balvin and Maisie Williams, among others, posed. 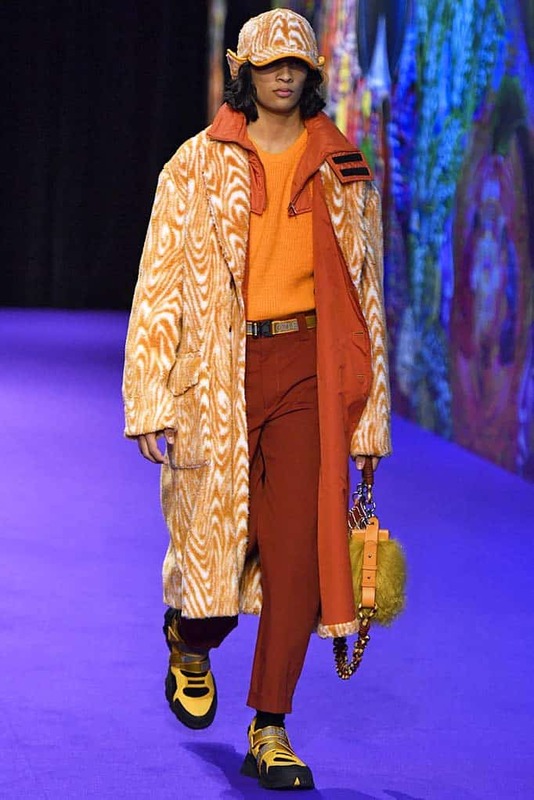 Afterwards, the set painted by artist Pablo Amaringo turned into the stage where the show would take place, full of multicolored space ships, jungles, parrots and deer that served as an inspiration for the clothing line. 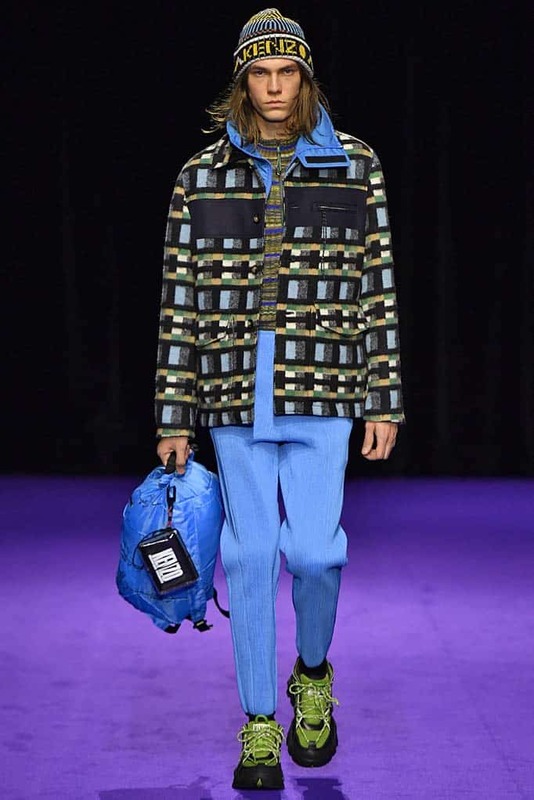 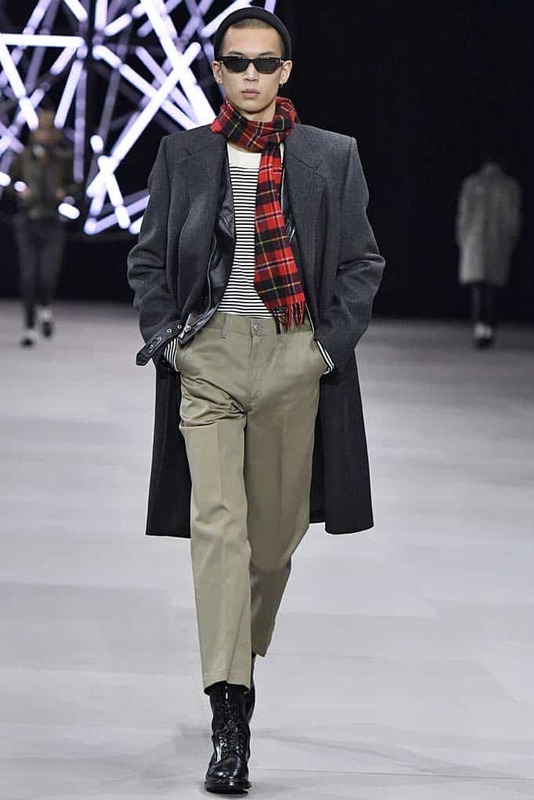 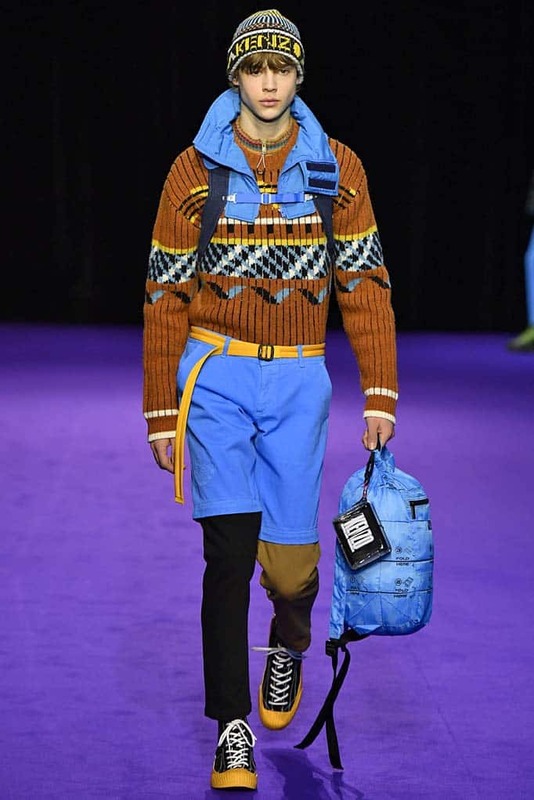 The audience’s favorites were the sets composed of zebra printed pieces in different colors and textures but the dismantled pants for men were also a hit. 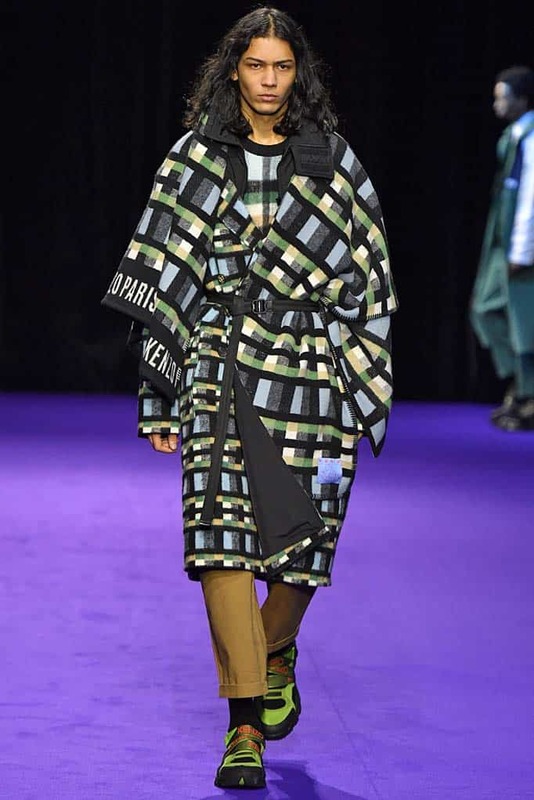 The floral and animal prints and the striped clothes made for this collection were the most colorful of Fashion Week. 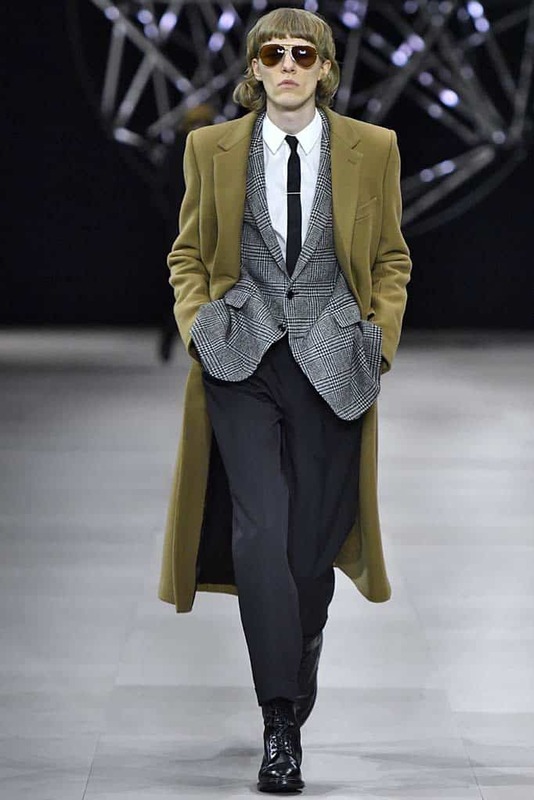 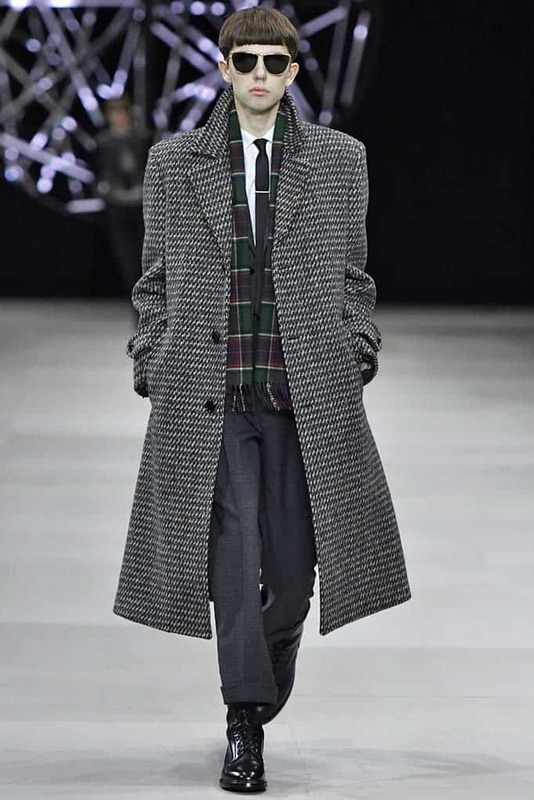 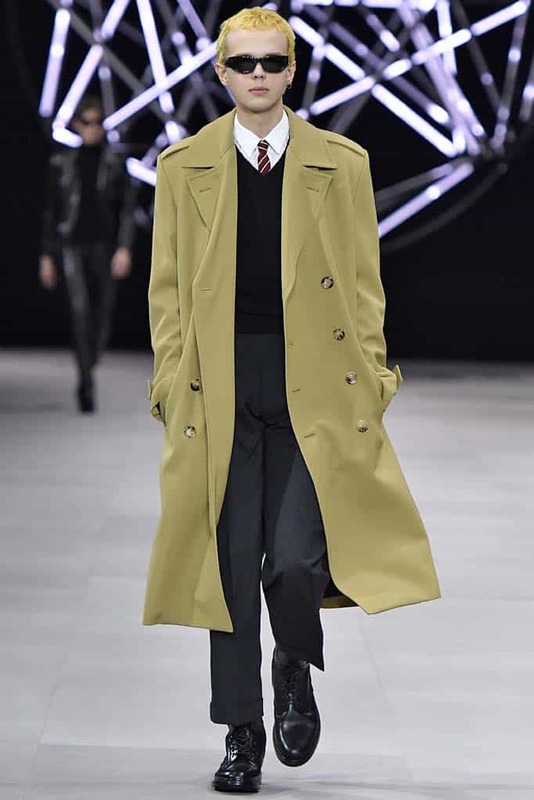 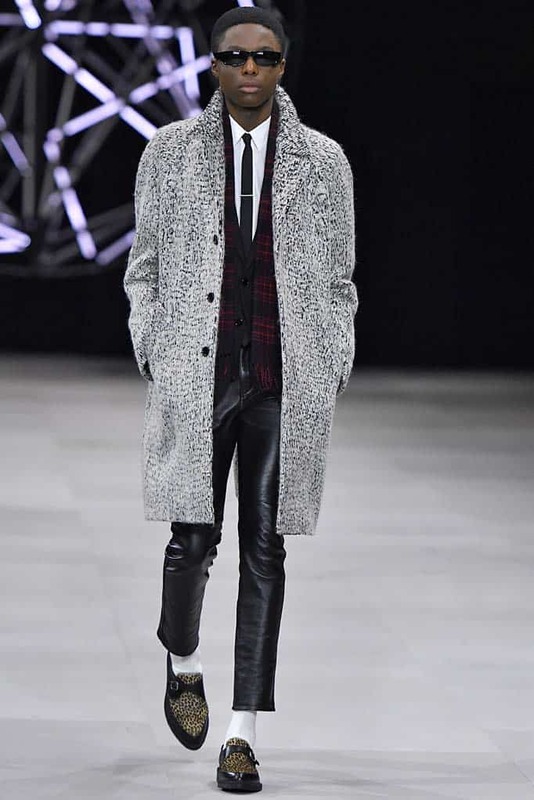 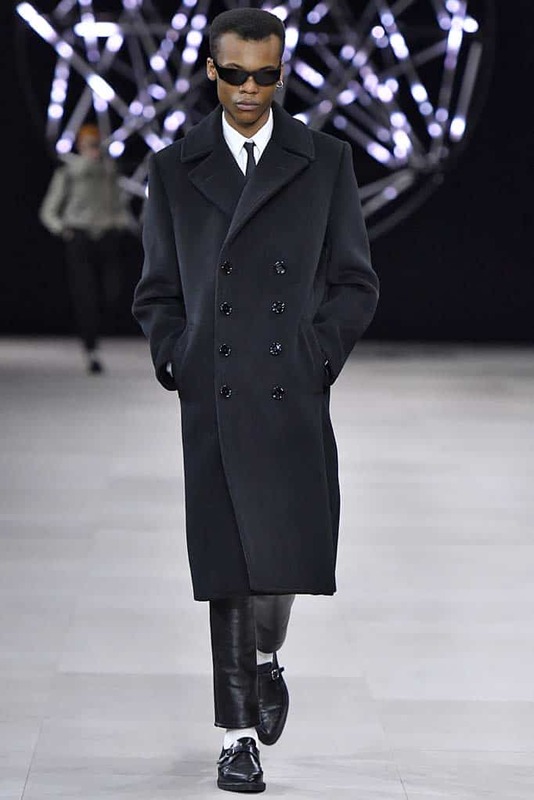 Celine was one of Fashion Week’s most expected shows, not only because it was the last one, but also because it was Heidi Slimane’s first collection for men for the brand. 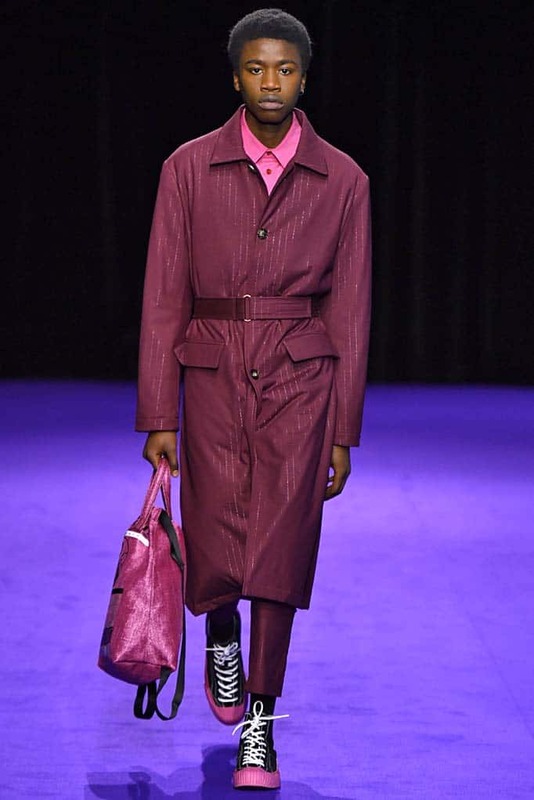 The show took place at Place de la Concorde, and it summoned celebrities such as Josephine de la Baume, Courtney Love and Natalia Vodianova who got to enjoy Celine´s collection first row. 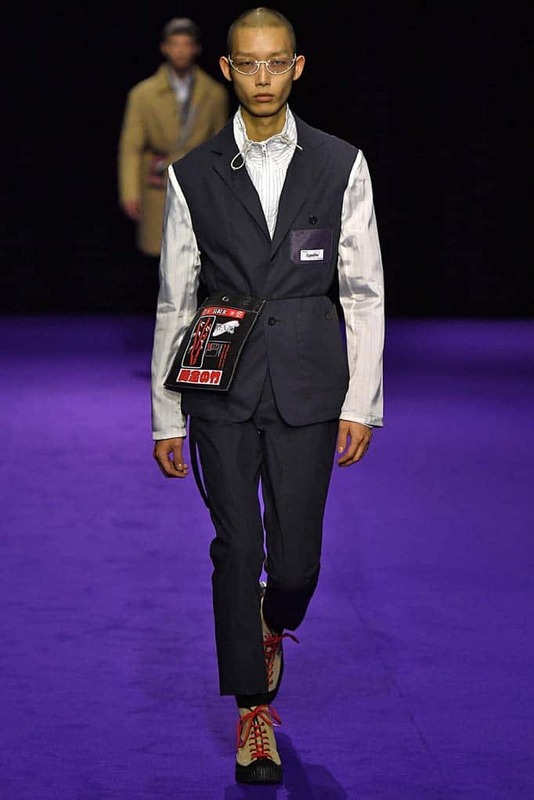 The designs were inspired by the British youth and the No Wave, a post-punk music genre from NY that dates back to the 70s. 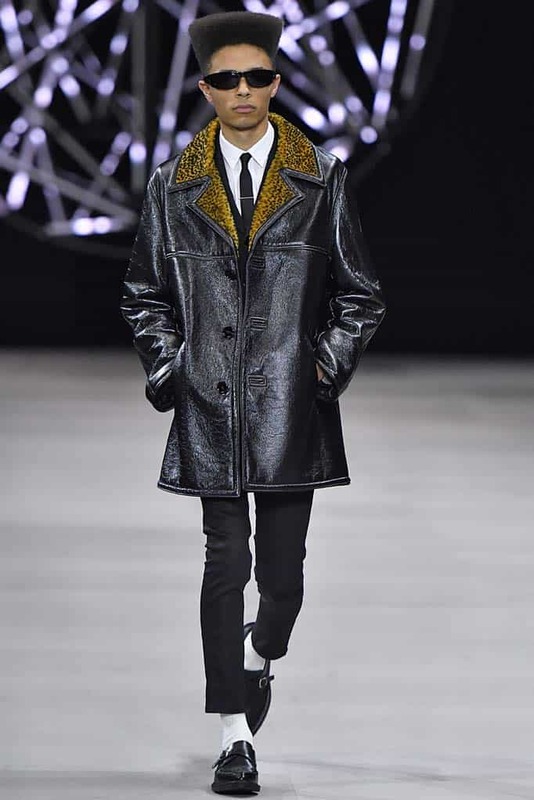 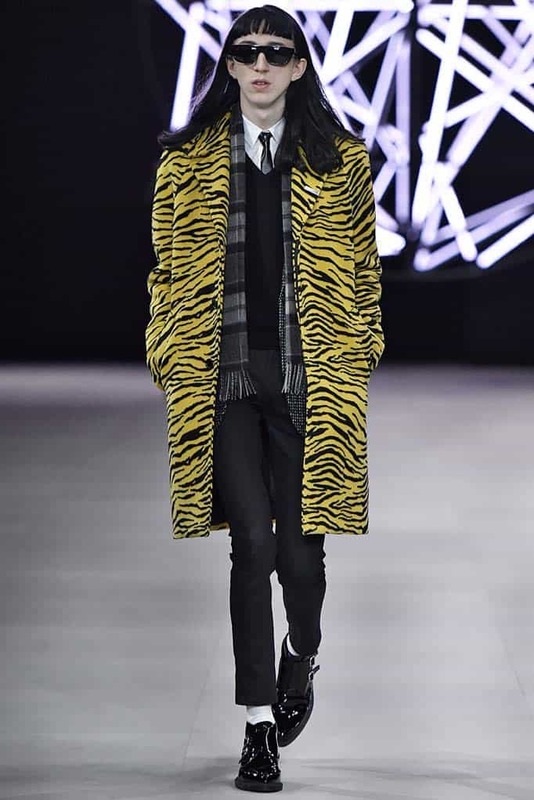 The collection’s main idea revolved around suits with thin ties combined with a great variety of coats: leather jackets, sheepskin coats, checkered woolen coats in yellow zebra stripes and other animal prints and also in sparkly fabrics for evening-wear. 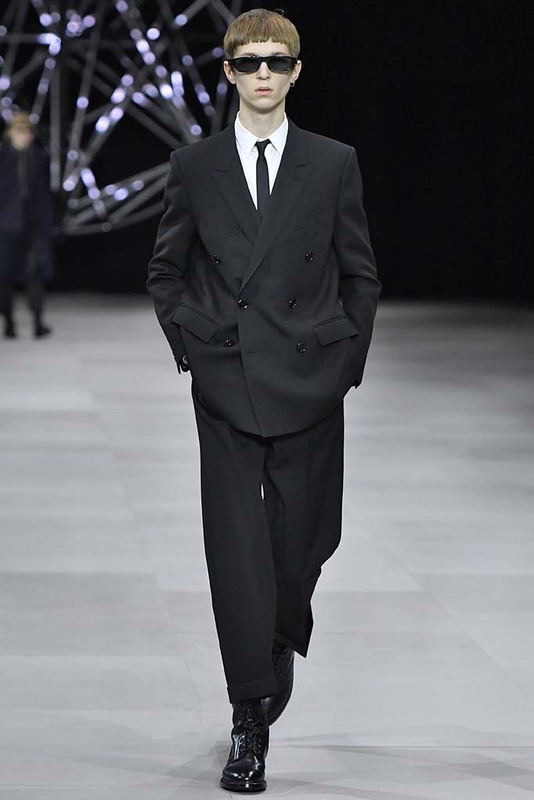 James Chance, the main figure from the No Wave movement was in charge of the big finale’s music, displaying his talent with the sax.